Today I have felt that this has been a day of hands. 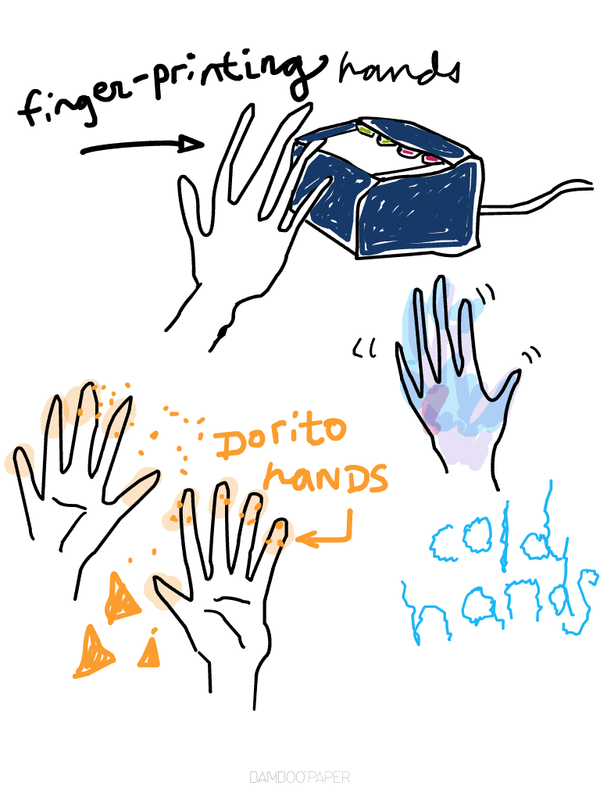 2) My hands are cold all the time. They are dry and mottled and purple-y. At least they are not as bad as Sheldon's poor handies. His get crazy cracked and red in the winter. I would like to think that one of the benefits of his dating me is that I have introduced him to vaseline and gloves. I would like to take credit for that. 3) The littlest boy whom I babysit ate Doritos on the couch today. His brothers yelled at him for eating orange chips on the nice couch. I was like, "Oh. I guess you shouldn't do that." I told him to wash his hands after eating. 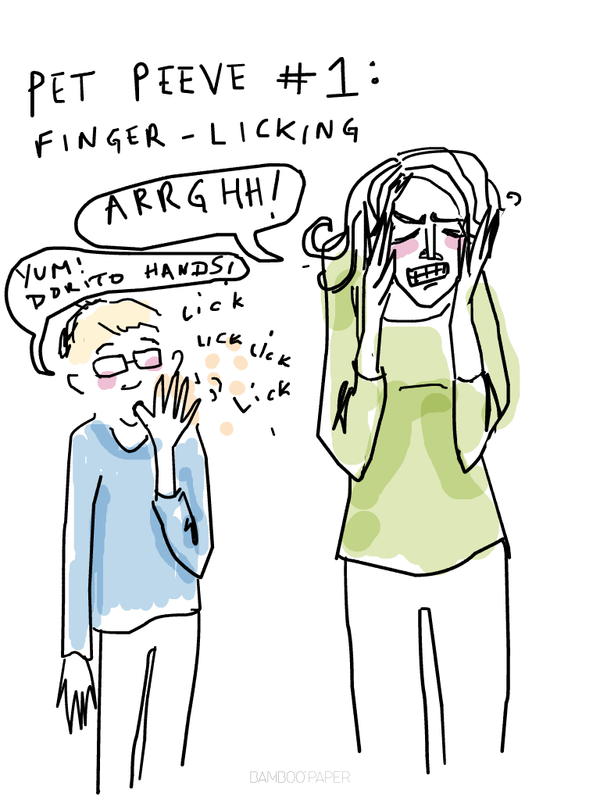 I realised that one of my ABSOLUTE LEAST FAVOURITE THINGS is finger licking. That to me is about the most disgusting thing ever. I don't know why. I hope that you have had a good week so far. Don't you hate days where you are just waiting for the end? You wake up dreading the things that must be accomplished in the day ahead. What a waste that is! But I do it every Tuesday and Thursday.